Drunk driving motor vehicle crashes account for almost 1/3 of all traffic related deaths in the United States. Annually over 10,250 people die in alcohol related crashes every year. Just think about this. If people would not drink, then get behind the wheel, there would be over 10,000 less deaths. 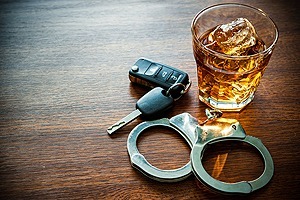 Drinking and driving remains a prevalent issue across the country, including in Pennsylvania. In September, a man was driving on Route 222 in West Earl Township while intoxicated. The man was reportedly swerving from lane to lane before traveling onto the highway shoulder, striking a tow truck operator and a driver whose vehicle was being towed. The crash killed both the tow truck operator as well as the driver whose vehicle was being towed. Our thoughts and prayers are with the families and friends of the victims involved in this horrific accident. The man who caused the crash admitted to drinking alcohol at a friend’s house shortly before getting behind the wheel. This past week, the man was charged with two counts of vehicular homicide and is now in prison. His life was affected yes, but the loved ones of the family members who passed in the crash will be affected for the rest of their lives. This senseless, cruel and irresponsible behavior has got to STOP! Especially now around the holidays where there are more office parties, holiday get-togethers, and increased alcohol consumption, everyone needs to be responsible and NEVER get behind the wheel of a vehicle after drinking. It’s that simple. Don’t drink, then drive. Designate a Sober Driver – if you plan on drinking, establish a designated driver ahead of time who will commit to being sober and ensure you get home safely. Use a car service – there are multiple car services available including Lyft and Uber phone apps, or just call a cab. Look Out for Drunk Drivers – It is important to know how to spot a drunk driver on the road, and to immediately report them. If you see a driver swerving, driving erratically, not using proper signals or exhibiting any type of suspicious behavior call 911 immediately. If you or a loved one has been injured in an accident due to a drunk driver, contact the experienced Drunk Driving Accident Attorneys at Freeburn Hamilton for help at 717-777-7777. When you call, you’ll speak with one of our Drunk Driving Accident Lawyers for FREE. Our firm will fight hard to seek the justice you deserve. Just call the 7’s for help at 717-777-7777. There is no attorney’s fee due up front, and we only get paid after you do.